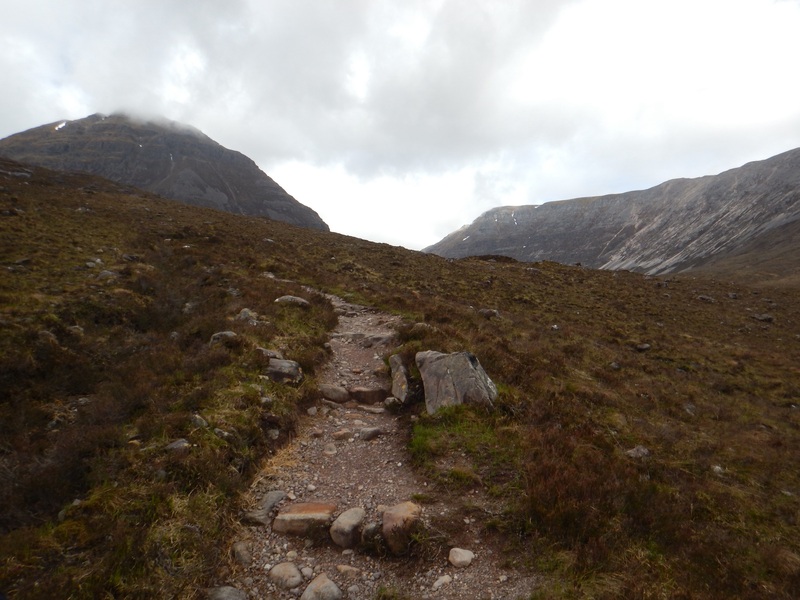 This was a hike in Torridon that started at Coire Dubh, went around Beinn Eighe, and finished in a corrie. With overcast weather, it looked like it might be a great day to hike with the rain holding out! Following the path it lead us between the mountains and through the open landscape. Since we were in a valley, the mountains protected us from the winds….for the time being. Walking at a casual pace, a river crossing appeared. It was time to test our balance while stepping from stone to stone. 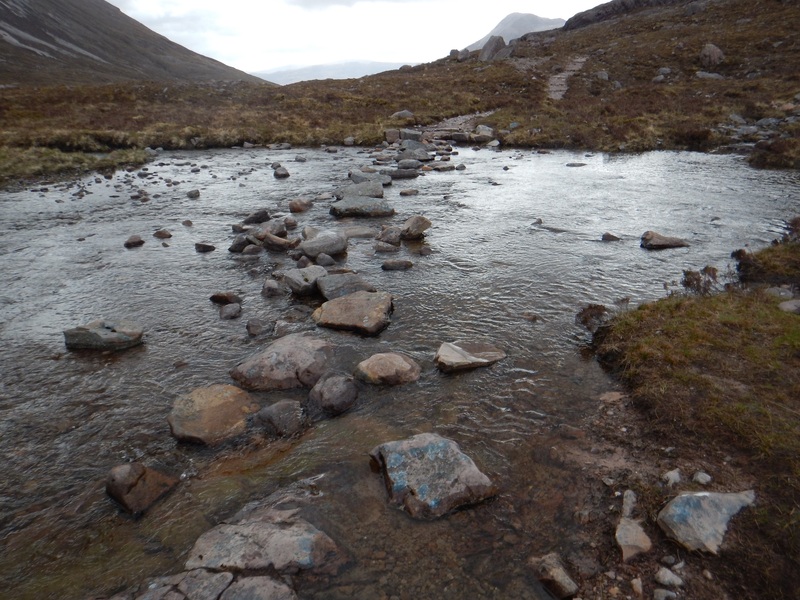 Luckily, each of us were sure footed and crossed without the flowing river being able to drench Us. Deer were spotted off in the distance and this made for a good break to watch their activity and look at the landscape. After enjoying a nice break, we were on our way hiking along the smooth path. Climbing higher, we could view the marshy land below us. 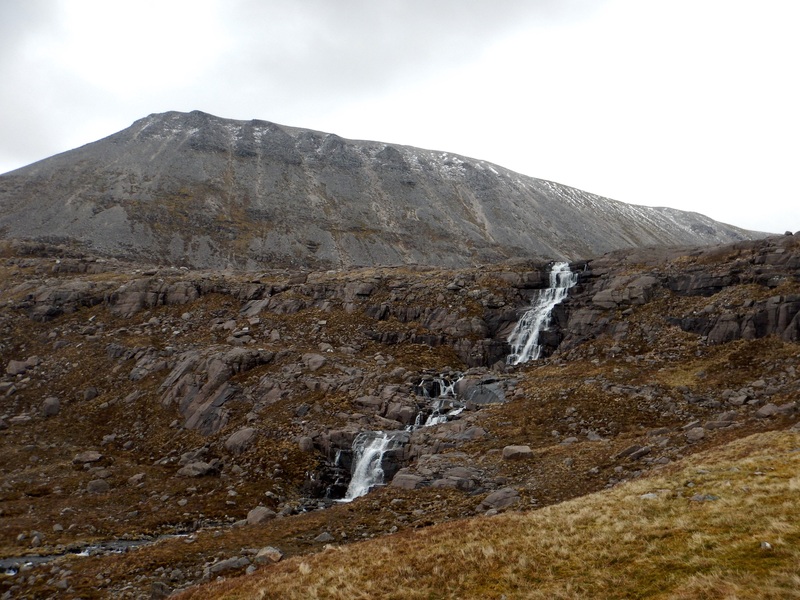 As we got closer to the corrie, a waterfall was flowing down over the cliff. Ascending into the corrie, the wind instantly picked up and we found shelter behind a boulder to eat a delicious lunch. 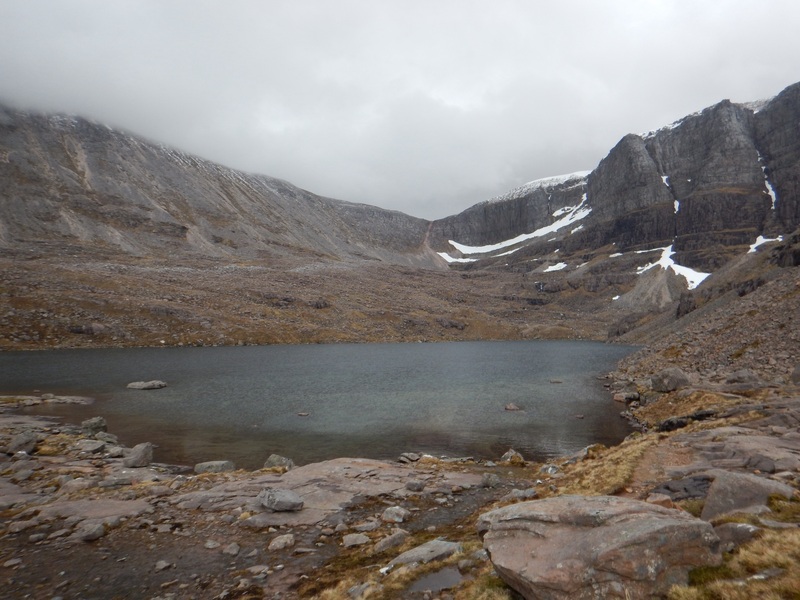 There was a nice lochan here and the snow covered mountain top next to us made for a peaceful meal. The hike back to the van followed the same path we came up. Just an out an back hike that lasted 5hr45min while covering 12km (7mi). 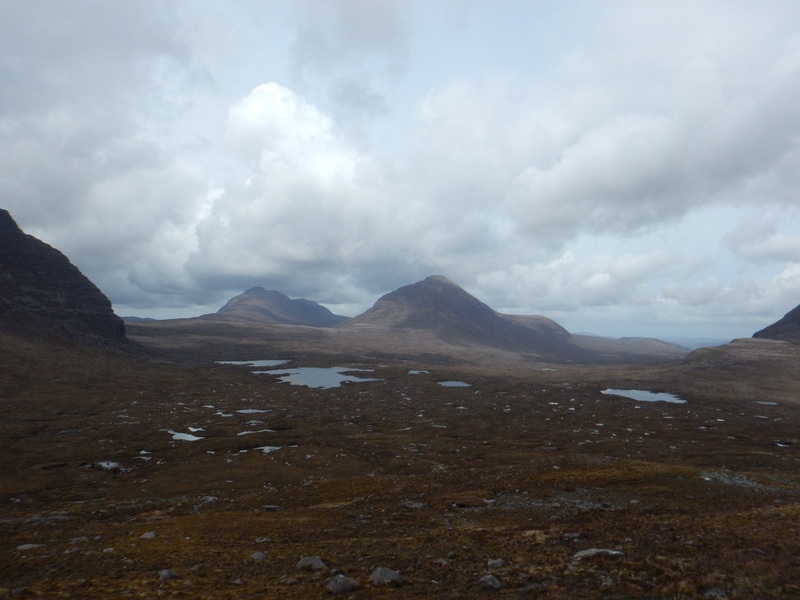 Another great hike through the Scottish Highlands. 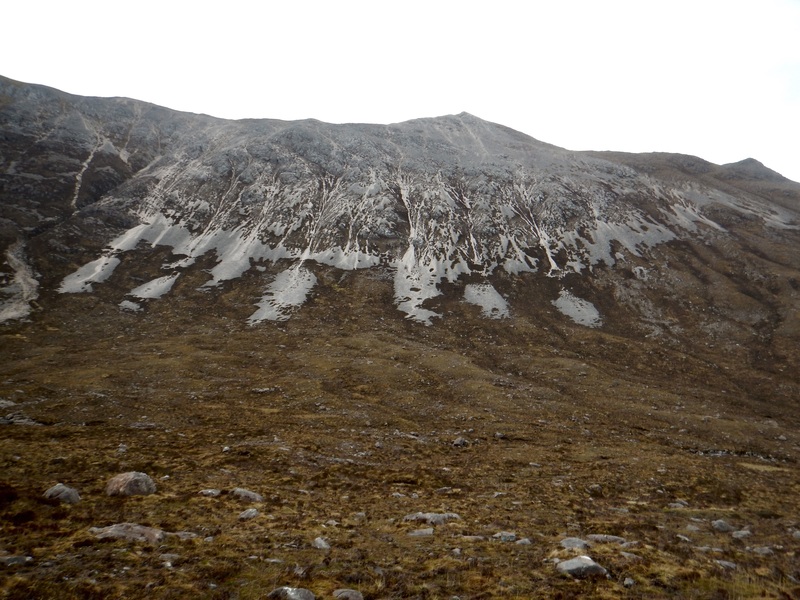 The rain held out all day and the wind only picked up in the corrie. 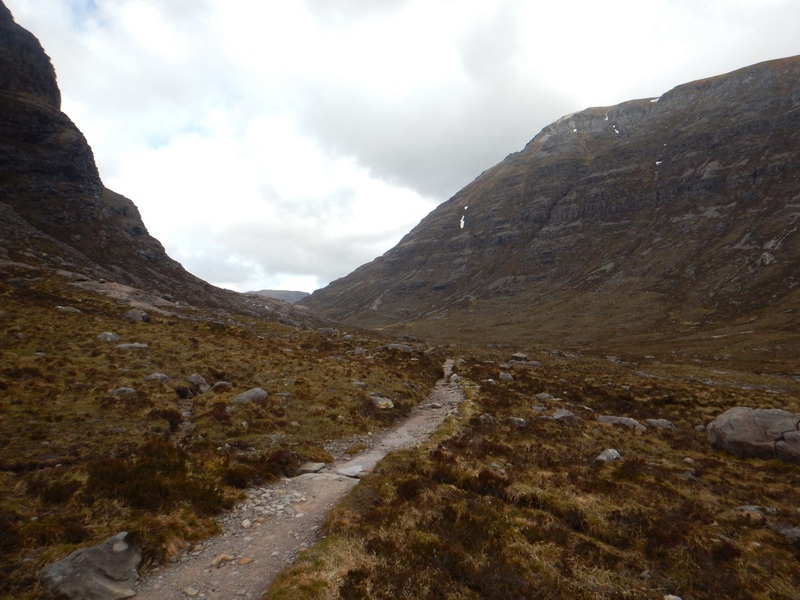 Torridon had some nice open landscape! Oh a great time indeed!